Brothers, our July meeting will be held Wednesday, July 11. We are rescheduling because the normal date happens to fall on Independence Day. Please mark your calendar and plan to attend. Usual time and location – 7:30 p.m. at the Fr. Michael J. McGivney Pavilion at St. William. Thanks! 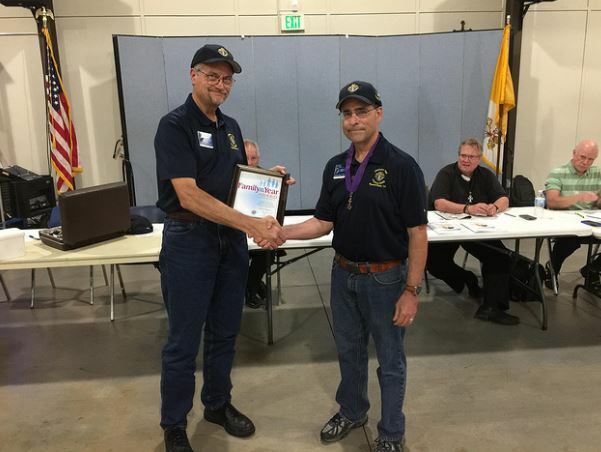 Texas Knights #1 in Charity – Again! Council 9368 recognizes Cameron Meeker as Knight of the Year. Cameron made his major degree and 4th degree this year. He helped out with just about every program, including the Fish Fry, Food for Families, Free Throw Championship and more. Most importantly, he brought a sense of humor and good cheer, exemplifying KC principles of charity, unity and fraternity. Council 9368 recognizes the Prybyla family as Family of the Year. 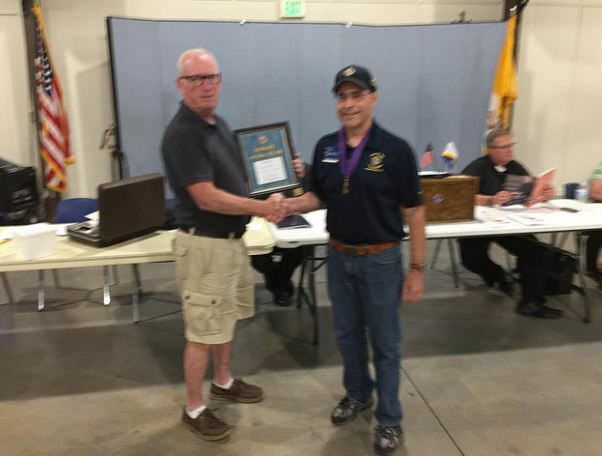 Robert Prybyla has faithfully served our council for the last several years as Pro-Life director, and before that, other positions including Grand Knight. 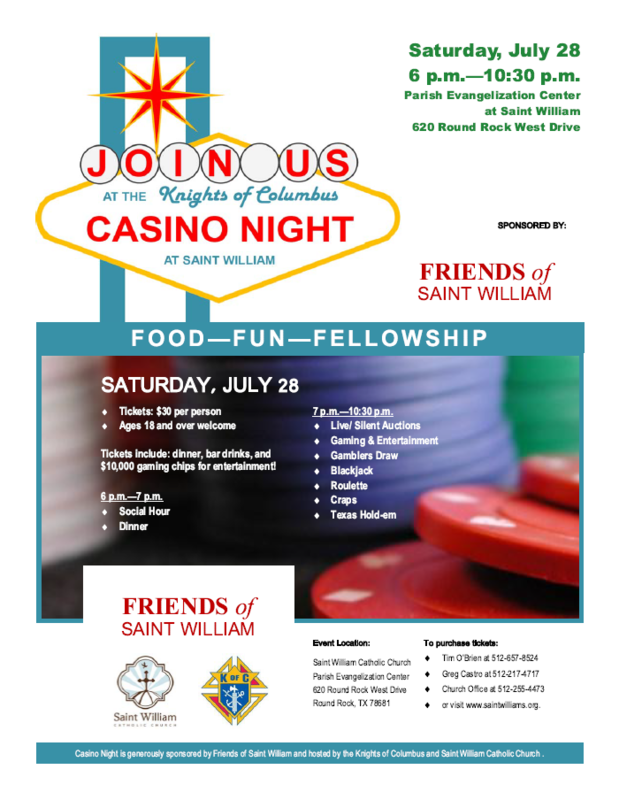 Sons Joseph and Rob are also brother Knights as well as Eagle Scouts. Marianne Prybyla serves on the parish Pro-Life Committee. Daughters Natalie and Marie are faithful, pro-life Catholics, and Natalie was awarded a scholarship by the Council. The Prybylas are a good example for Catholic families and actively live their faith through community involvement. Family life is under siege in the secular popular culture. Traditional marriage is redefined by the courts and family values are openly challenged in the media. Christians and people of good will are praying and working faithfully for a crucial change in direction. 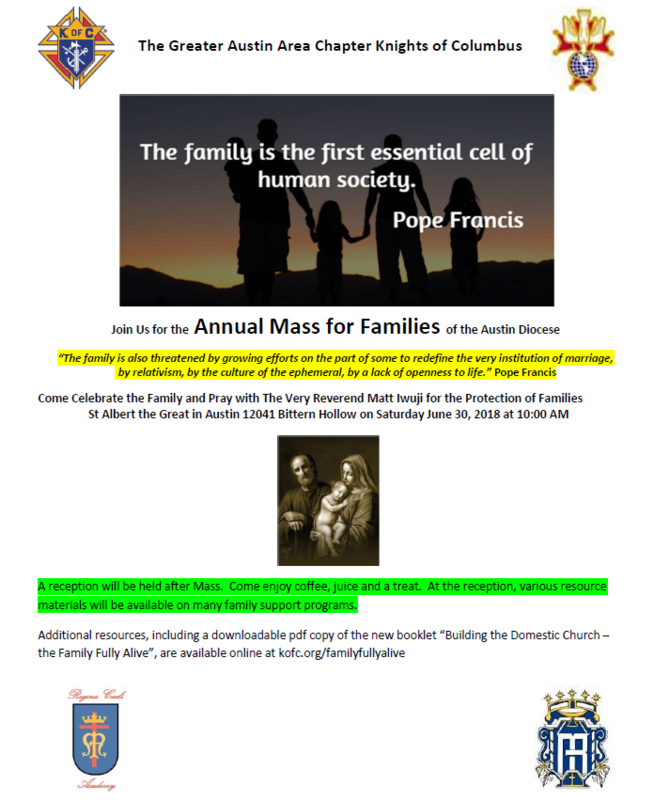 Join The Austin Chapter Knights of Columbus for the Annual Mass for Families celebrating the family and praying for God’s protection of the essential unit of our human society. This special Mass and reception will be held at St Albert the Great in Austin on Saturday June 30th at 10:00 AM. Join us for this powerful event.